Confession time: I’ve saved every greeting card I’ve been given…since elementary school. I love the touching/funny sentiments they contain and I couldn’t bear to part with them. I enjoy giving greeting cards as much as receiving them. In our technology reliant society we rely heavily on short text messages and emojis to convey our feelings. 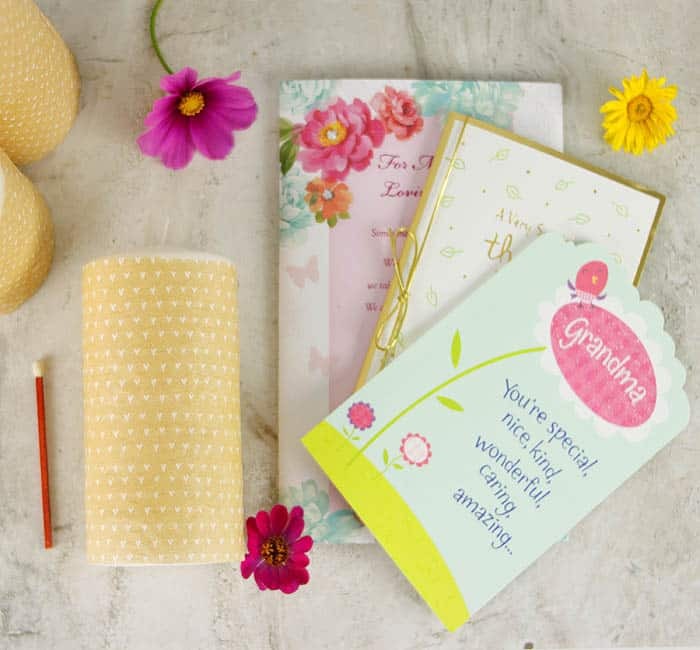 There’s something so wonderful about picking out a greeting card with the perfect sentiment, filling it out and delivering it to the recipient. 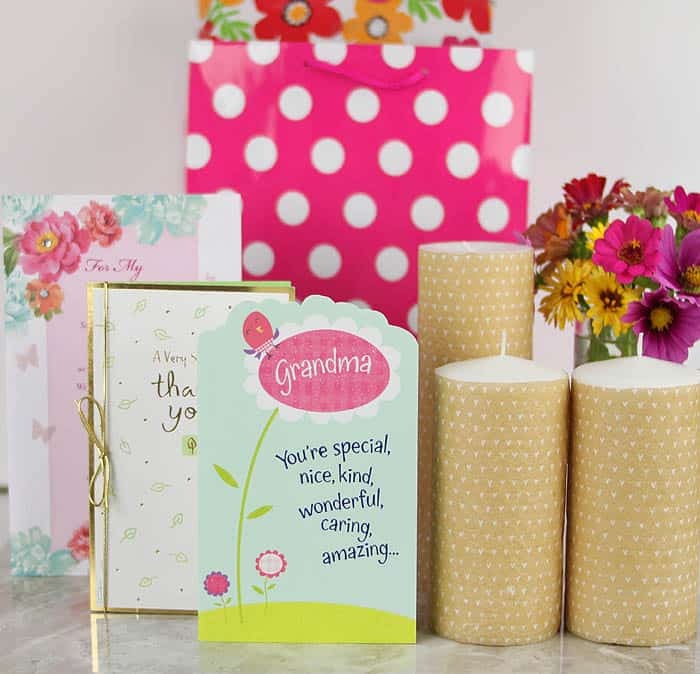 Today I teamed up with American Greetings to show you a fun and inexpensive way to make a thoughtful gift. 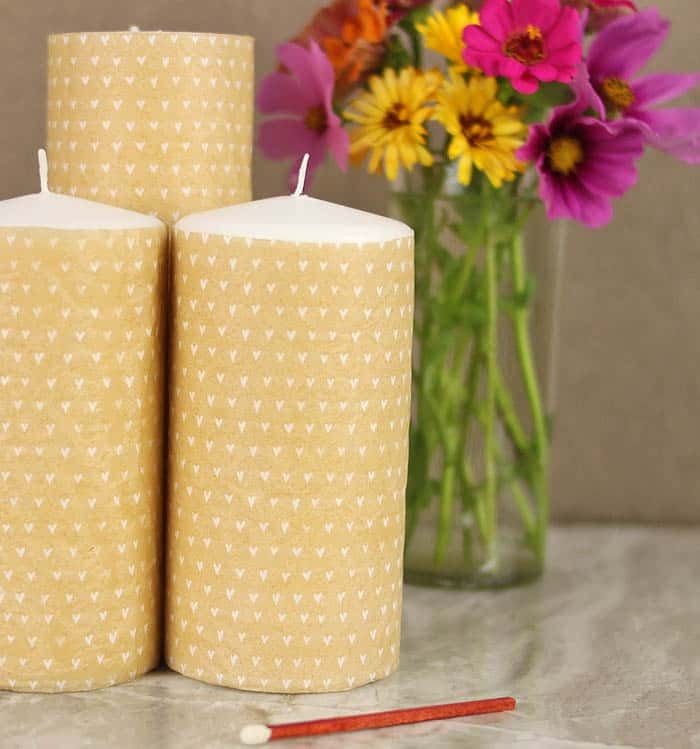 These tissue paper transfer candles are the perfect little addition to include with your greeting card. 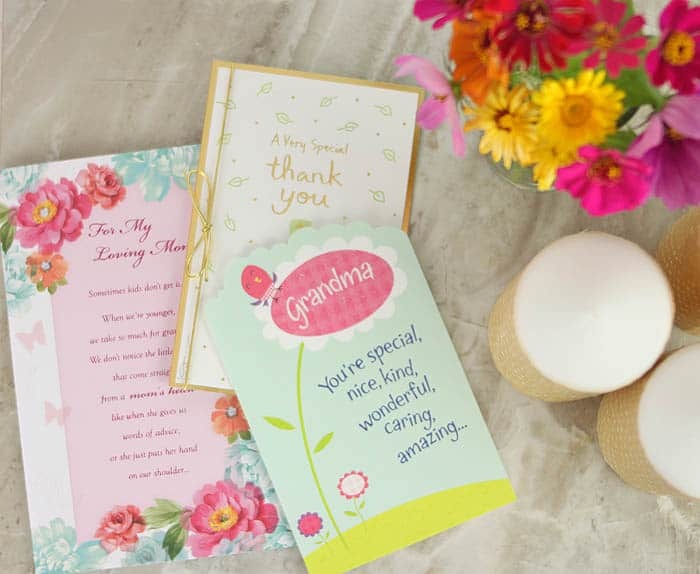 We buy greeting cards for big events like birthdays and graduations, but there’s so many other no-so-major occasions that should be celebrated! I like to stock up on “Thank You” and “Thinking of You” cards. I’m always surprised at how often I use them! So many people have summer birthdays (my mom’s is at the end of the week) so it’s great to buy the cards and paper accessories in advance. 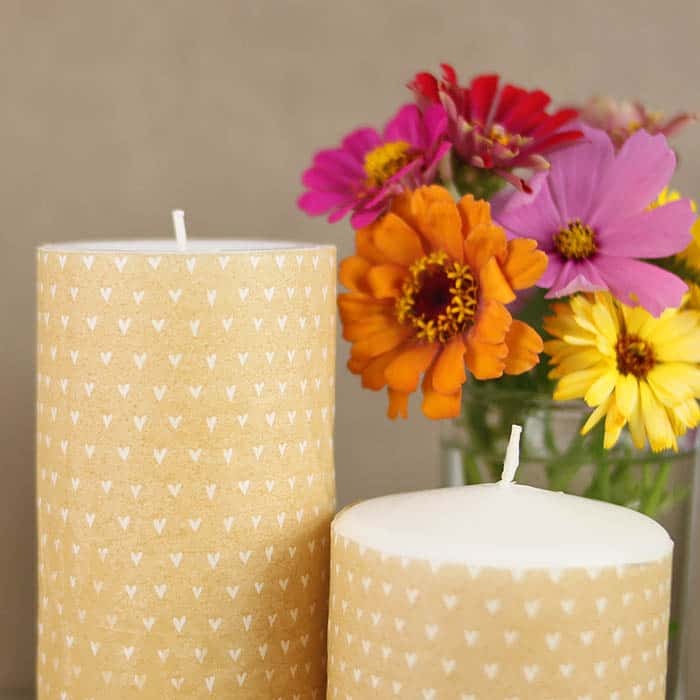 These DIY transfer candles are the perfect something extra to go along with your gift. 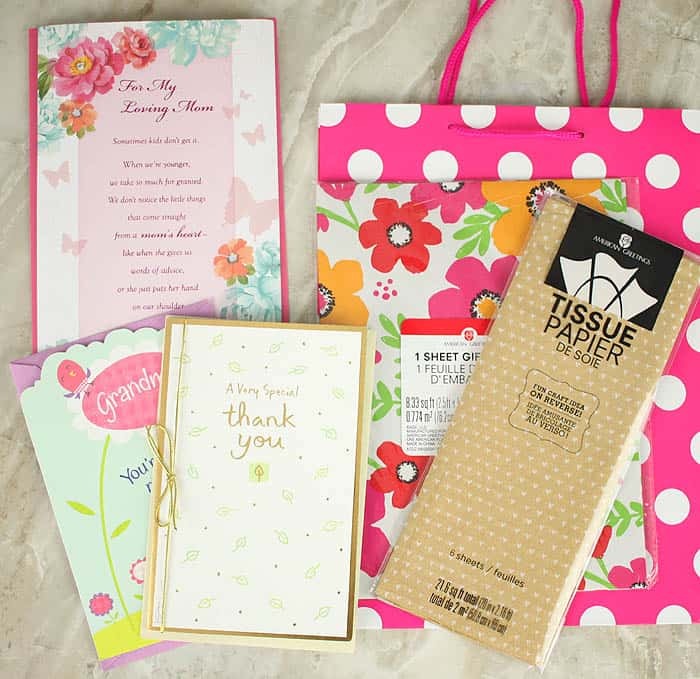 One thing I love about American Greetings is that it’s easy to find cards, tissue paper, gift wraps and gift bags that complement each other. Having the card and accessories color coordinate is a little touch that makes your gift look so pretty! I was especially excited to find this tissue paper that’s printed with tiny hearts! Measure the height of the pillar candle. Cut the tissue paper to the height of the candle. 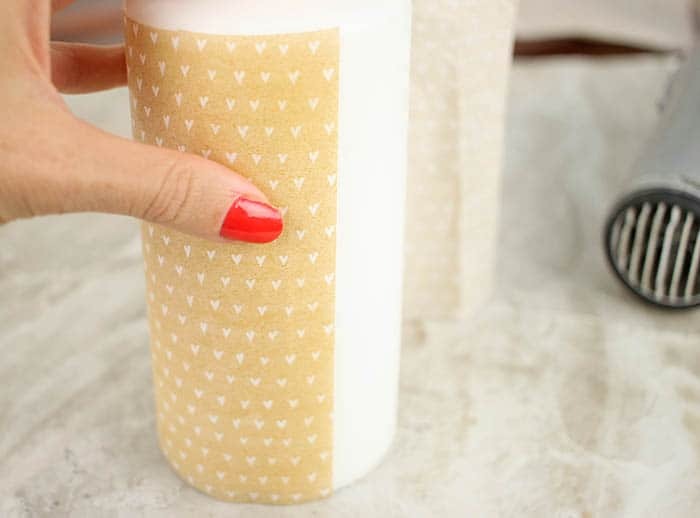 Wrap it around the candle and trim the edge so there’s not too much overhang. 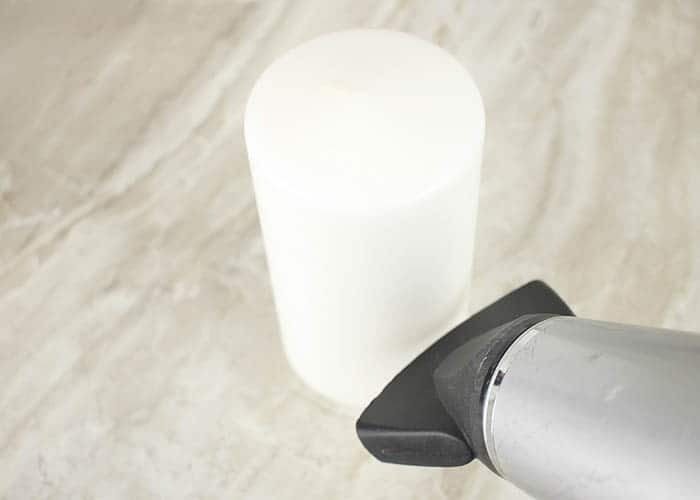 Turn on the blow dryer and place it about an inch from the candle. You want to make the wax tacky not dripping. Concentrate the hot air in one area, moving from top to bottom. It will only take a minute for the wax to become soft. You can tell when that wax is melted enough because it will look wet and slightly wavy when the hot air is blowing on it. 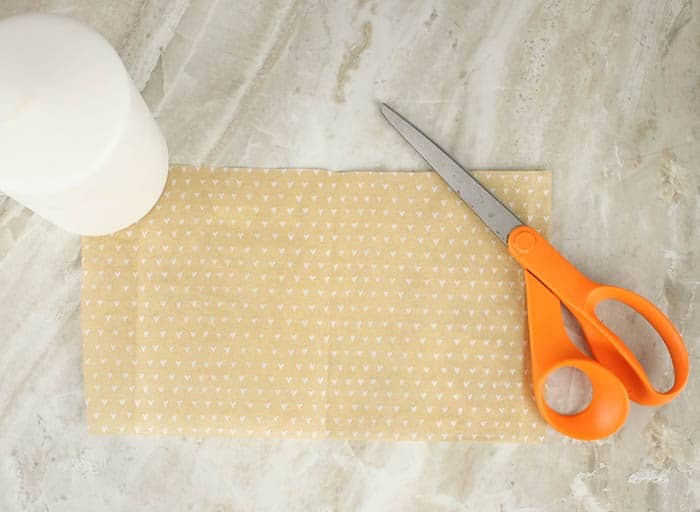 While the wax is still wet, wrap the tissue paper around and hold in place for a minute or so. Heat the wax and press the tissue paper down in a few more sections until you reach the starting point. Trim any excess. 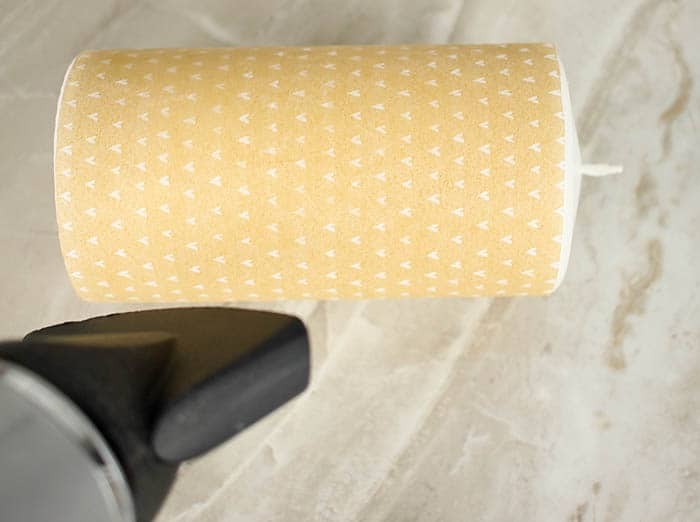 Blow dry all around the candle to ensure that the tissue paper is stuck down. I always like to buy my mom cards from Indigo. I let him draw a little picture on the inside and then I help him sign his name. She absolutely loves it! 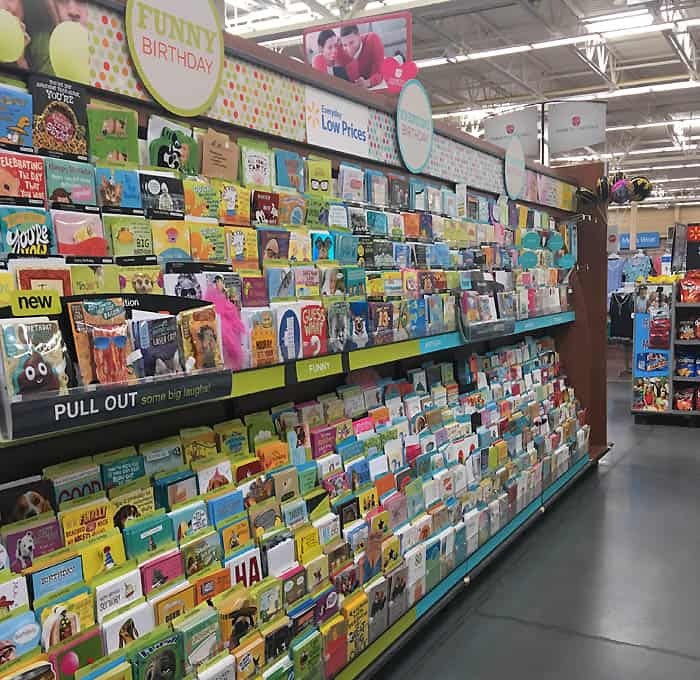 Walmart has a huge selection of American Greetings cards and paper accessories. 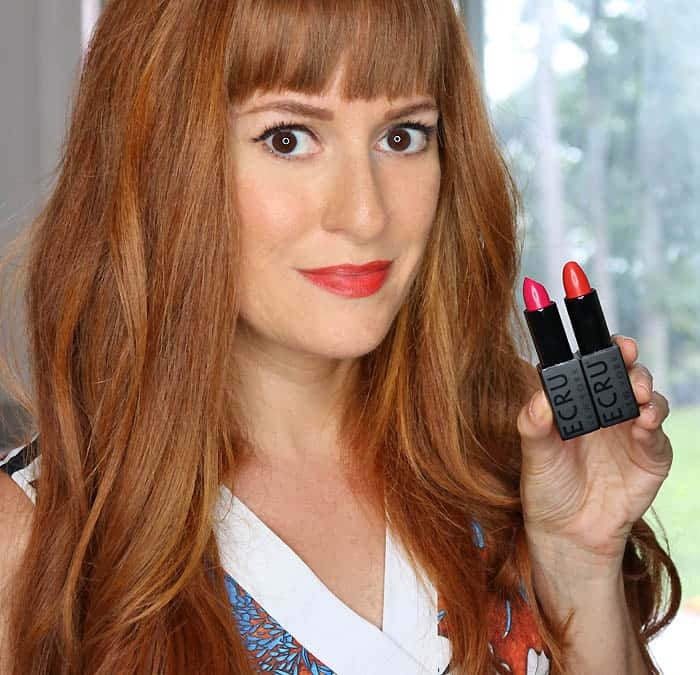 Plus, you can buy all the supplies for this DIY there. Yay to one-stop shopping!